Allison is always willing to share her knowledge and is passionate about educating people in the industry about alpaca teeth and the importance of both prevention and recognition of dental problems. 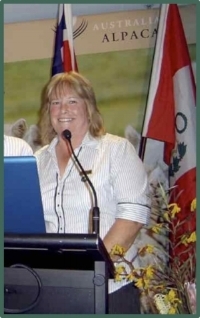 This passion has seen her accept many invitations by Industry and Veterinary bodies to present at conferences and seminars, both in Australia and Internationally. To download some of these papers go to the 'articles' page.